I have tried so many different methods & techniques for installing doors, it really isn’t funny. 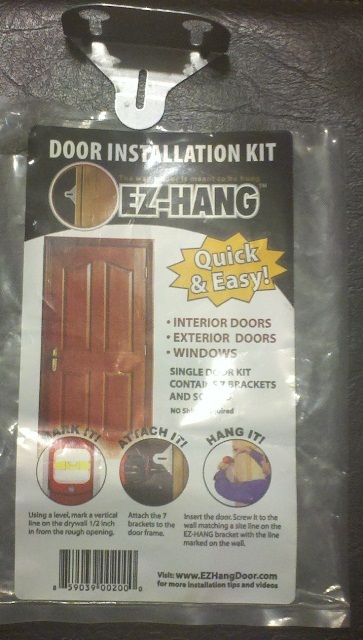 A couple of years ago, I saw a product called EZ-Hang come on the market, and my first thought was, yeah that’s nice. This is probably just another item for homeowners to buy believing they can do it like a pro. Then it started being marketed to the trades in Remodeling Magazine, JLC, Fine Home Building, etc… and after a while I started wondering, hmmm, I wonder if it really does work? Per EZ-Hang all you need is a pencil, a level & a cordless drill with a Phillips bit per the ad below… (Fortunately for them & me (?) this wasn’t one of the ads mentioned above or I would have probably kept on thinking it was a gimmick) Ok, moving past the ad piece, you might also find it handy to still have some shims, a Phillips screwdriver & a regular screwdriver. 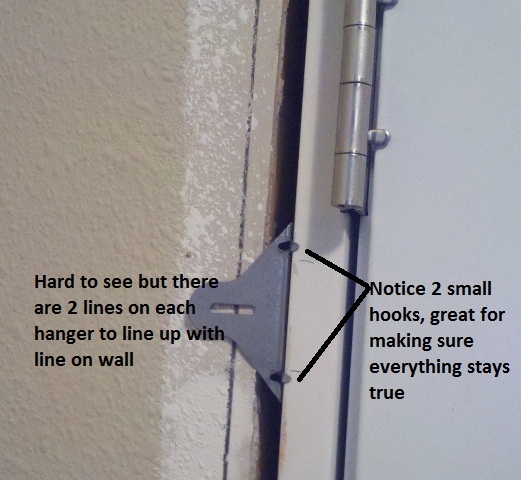 If this is for an exterior door, you will also need a caulk gun, trim screws & appropriate caulking & flashing material. 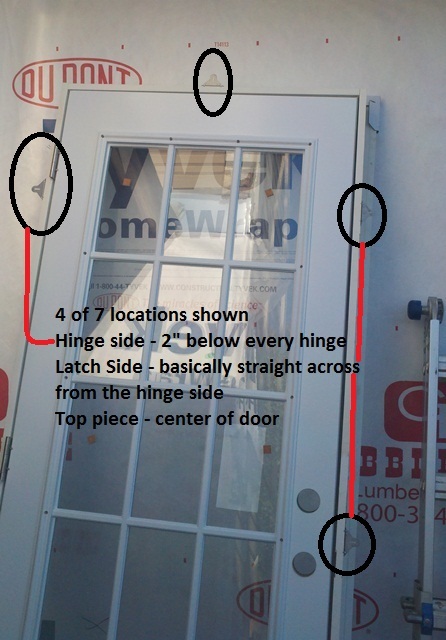 Assuming your opening is ready, and the floor is level – simply grab a 6’ level & mark a plumb line approx. ½” an inch in from the edge of the stud where the hinges will be. FOR INTERIOR DOORS ONLY: Insert door into opening – if you will be installing ceramic tile, hardwood floors or carpet later, shim the hinge side up so that the casing will be just a hair above the finish floor height. Not only does this give a more professional appearance, but it also prevents the door from dragging on the carpet & allowing some air to return to your HVAC unit. Now all you have left is to test the door, finish out the trim & install the lockset. While mentioned in the Exterior Only part, I would also recommend removing one screw from each hinge & replacing with a longer one (especially if you use solid core doors for the interior like we do). Overall it really is a nice system that works really well assuming the opening & walls are plumb & true. With that said, if you have older plaster walls I wouldn’t be using them (yes even with pre-drilling I wouldn’t try it). For heavier security doors, taller units, etc… it would be wise to check with the manufacturer or at minimum increase the amount of hangers. On the energy efficiency front, I actually give this product two thumbs up as it eliminates numerous problems caused by shims and allows the gap to be fully air sealed. For more information on this product, videos (like the one below), directions, or to order some, you can simply visit their website; EZHangDoor.com.